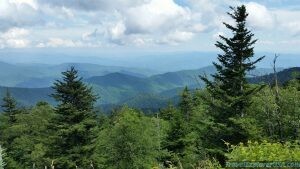 The Great Smoky Mountains National Park is a must-see. It is one of the few national parks that you can visit for free, which is a great bonus for a family on a budget. One feature that is interesting if you go at just the right time of year is an area where the lighting bugs, a.k.a. fireflies, light up in sync with one another. We were not there at the right time when we visited, but our waiter in Pigeon Forge told us about it, and we researched where to go next time. Our future trip will most likely be timed to see those special lighting bugs. There are a lot of beautiful trees and wooded areas, as well as the distinctive smoky look of the mountains. Friendly park rangers give educational presentations about the history of the area and the wildlife. It is common to see elk and other wildlife. When visiting the park, you can stay in Pigeon Forge, which has a variety of family-friendly entertainment and lodging options. Or there is Gatlinburg, which is a beautiful family-friendly tourist town.